Today, Paul Smith releases his brand-new solo album ‘Diagrams’, a record that strips bare his work to this point and ploughs fresh songwriting pathways. Already riding a wave of positive reviews, the record will be BBC 6 Music’s Album of The Day on October 29. 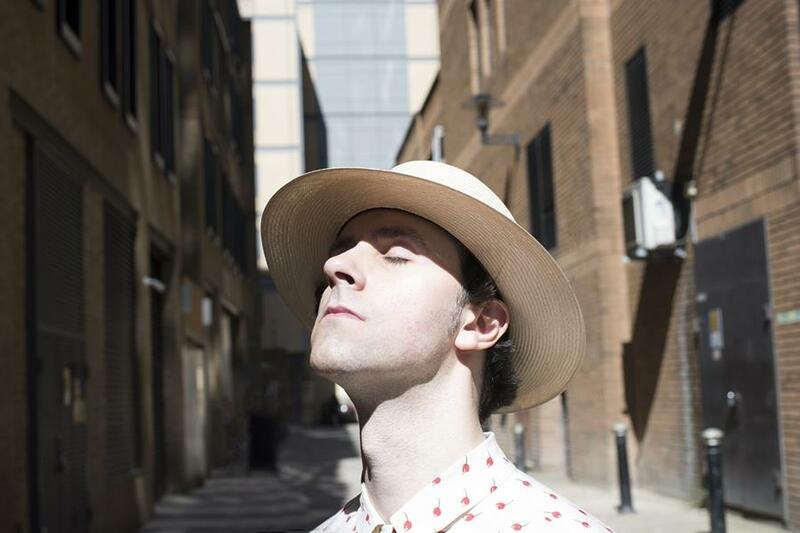 ‘Diagrams’ sees the Maxïmo Park frontman continues to sharpen his skills via a keenness to step out of his comfort-zone, and an ever-present desire to digest culture in all its forms. Most recently he found himself performing alongside folk star Rachel Unthank for Lauren Laverne’s Great Northern Soundtrack, and he is currently a host for publisher Penguin’s podcast alongside David Baddiel and Konnie Huq, discussing the latest book releases. 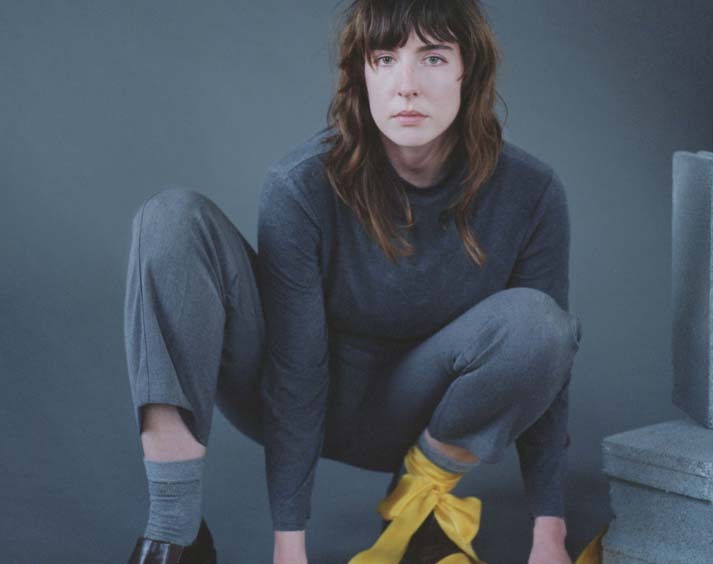 Smith gives songs from the album their first live airing at a sold-out launch show at The Waiting Room in Stockton on Oct 28th, before taking the show on the road with a full band through November. Full details can be found here. With each Paul Smith release we expect an evolvement, and on Diagrams he remains committed towards expanding the parameters of his songwriting. From the anthemia of his debut solo outing ‘Margins’ (2010) to the exploratory minimalistic jazz of his Peter Brewis (Field Music) collaborative album ‘Frozen By Sight’ (2014) and the spirited, guitar pop record that was ‘Contradictions’ (2015), Diagrams sets its stall out as a vivid and complex album that binds the obscure and the everyday, searching for romance under stones that not many songwriters would think to turn over. As a body of work, it seeks to unite the strengths that Smith has in his canon, drawing on his ability to both write from experience, yet also conjure new stories of unknown protagonists. Sidestepping (but not wholly ignoring) the more autobiographical work that played out through previous releases, ‘Diagrams’ instead sees Smith further explore his nous for telling these short stories. Alongside co-producer Andrew Hodson, of 6 Music favourites, Warm Digits, he charts a course into the yearning, melancholic jangle-pop of The Go-Betweens, finding himself drawn to the literate, grunge-pop of The Lemonheads, to build a cohesive collection that pulls in his many strengths. With his ability to unravel the day-to-day and transform the commonplace into an eloquent turn of phrase, the thread that holds ‘Diagrams’ in place is Smith’s honesty and empathy. It’s these matters-of-the-heart elements that push and pull at the listener’s emotions. Resultingly, it’s a collection that feels incredibly relatable. Album opener ‘The Public Eye’ sets the tone with a dark undercurrent and was written in the aftermath of the ‘Hostile Environment’ policy adopted by the British Home Office. Taking aim at our climate of suspicion, it shines a light on how vulnerable groups are attacked without factual foundation (‘Convictions without proof’). ‘Around and Around’ similarly details the futile merry-go-round of the news cycle, before ‘Silver Rabbit’ conjures a story of self-doubt, set against the low-budget romance of the seaside, and channelled through overdriven guitars. ‘Lake Burley Griffin’ - inspired by the story of Walter Burley Griffin, an American who designed Canberra alongside his wife Marion Mahony Griffin – is the album’s discordant left-hand turn, taking in the post-rock influence of Slint or Tortoise. A love story featuring prominent clarinet, it showcases – along with the saxophone in ‘The Public Eye’ – Smith’s addition of woodwind instruments to his musical palette. Elsewhere on ‘John’ he imagines a life that can never be known, inspired by a name scrawled on the back of a toilet door, extrapolating the sentiment and following it into a world where the story unfolds from schooldays to falling in love. It’s in these instances that Smith’s talent is subtly exemplified. He envisages unknowable situations and turns them on their head to evoke truly universal emotions of hope and regret (“what if the first chance, is the last chance?”). Through ‘The Beauty Contes’t and ‘Critical Mass’ – the former featuring folk royalty, Marry Waterson, the latter inspired by JG Ballard and Cormac McCarthy's 'The Road' - Smith again shows us he can veer into and out of songs inspired by reality. ‘The Beauty Contest’ plots a late-night train journey, and ‘Critical Mass’ plumbs bleak and apocalyptic depths, albeit alongside a black sense of humour. ‘Diagrams’ is a collection that further cements Smith’s reputation as a revered songwriter and lyricist, whose skills continue to find new avenues through which to develop. Listen to ‘Diagrams’ here. 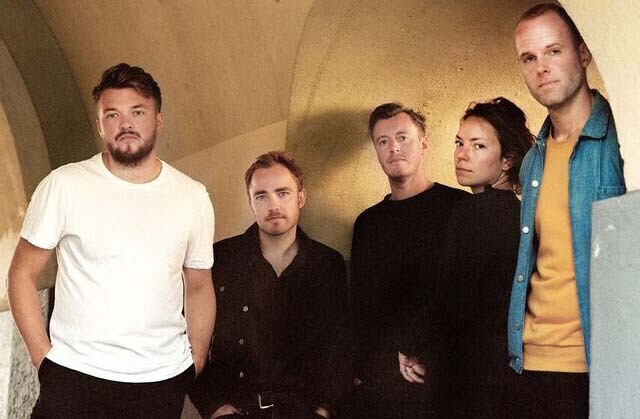 By 2002, after recording Control, the high rate of turnover in the band finally caused Bazan to ditch his “natural process” in favour of a collaborative writing process. When, after a couple more years, this move did nothing to stabilize turnover, Bazan was perplexed. In November 2005, Bazan decided to stop doing Pedro the Lion altogether. Phoenix also deals with having to be better to yourself in order to be better to others on 'Quietest Friend', and harkens back to Control’s 'Priests and Paramedics' with a story about EMTs facing a gruesome scene, and storytelling as coping mechanism, on 'Black Canyon'. It bears witness to both what was around and what was inside, with the signature kindness and forgiveness that lightens Pedro the Lion’s darkest notes. The result is a twisting, darkly hopeful introspection into home and what it means to go back, if you ever can. It is rock and roll wrapped in tissue paper, its hard edges made barely soft. Every melody is careful, a delicate upswing buoyed by guitar lines that hold each tender feeling together like string before ripping them apart to see what’s inside. It is an ode to the place he still loves despite how alien it can appear to him now. It is the story of a life from the beginning, but not a linear one. This life is a circle, and 'Phoenix' goes back to that first point, to show that when we are looking for home we’ll eventually run into it again, whether it’s in the desert, in a rehearsal space, or on a stage. October 2018 marks the 20th anniversary of Placebo’s iconic second album ‘Without You I’m Nothing’. In celebration, the band have launched a fan-site which not only brings together classic live performance footage and photographs from the era, but exclusive new content and new interviews as well. Importantly, it has been created as a place for fans to share and contribute their own photos and memories of what the album means to them. View the new site here. There is also the chance for fans to win one of two 12” ‘Without You I’m Nothing’ (ft. David Bowie) vinyl singles, and one of five ‘Without You I’m Nothing’ heavyweight vinyl albums, simply by tagging a post on Twitter or Instagram with #WYIN20. Critically and commercially a significant record at the time, ‘Without You I’m Nothing’ led to plaudits worldwide, gaining platinum status, and birthing two UK Top 5 singles in ‘Pure Morning’ and ‘You Don’t Care About Us’. The single version of the album’s title track famously featured vocals from David Bowie. Thematically, ‘Without You I’m Nothing’ remains an incredibly personal piece of work, making this 20-year milestone the perfect time to listen again, share memories, and talk about a record that continues to mean so much to so many. Listen to the new single 'Soft Stud' here. 'Mother of My Children' is a life chapter gently preserved. The access listeners have to such vulnerability feels special and generous. 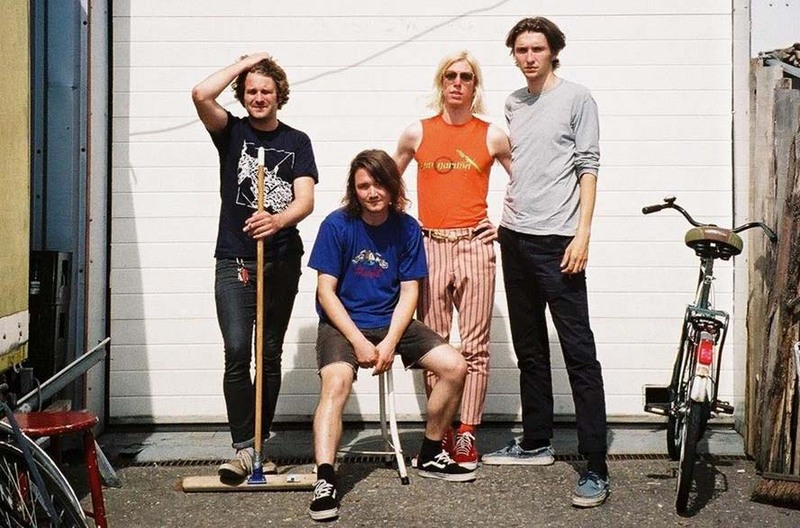 Mothers have announced their new album 'Render Another Ugly Method', set for a 7th September release date via ANTI- Records. Courtesy of NPR Music listen to the first track 'Blame Kit' here. In contrast to 'Blame Kit', a new album teaser features a portion of a second track, 'Baptist Trauma'. A composition of stop-start drums and shards of jagged guitar, the song is ultimately a dissection of Leschper’s practice and work ethic, self-described as ‘ugly, at times seeking validation through itself.’ Watch it here. "The first time I heard Mothers I knew it was a band that I wanted to work with,” said John Congleton, who produced Render Another Ugly Method. “So special and idiosyncratic, it is impossible to ignore their point of view. I loved making the record and seeing them work." Welsh alt-rock outfit Estrons return today with 'Lilac', the first song to be taken from fruitful recent sessions with Alex Newport (At The Drive-In, Death Cab For Cutie, Pissed Jeans). Debuted last night by Huw Stephens on his Radio 1 show, he said 'Lilac' was "so good" that he played it twice in a row. Listen to Lilac here. A further evolution sonically from what has come before, immediate and anthemic, the song marries tense vocals from Tali Källström to the off-kilter, cutting guitars that Rhodri Daniel has become known for. Tali dedicates the song to "an encounter I had with a teenage girl in the early hours of the morning. I drove past her crying in the street with her shoes in her hand and so I decided to turn the car around to check on her. I'd assumed that she was crying about something superficial and I'd also assumed that the man walking a few feet behind her was trying to take advantage. Turns out the man actually lived on that street and the girl was heartbroken because her dad had just been diagnosed with terminal cancer. We often get things wrong because society leads us to create prejudices on genders; the song is myself reflecting on that. It also celebrates human empathy as the girl I helped was genuinely touched that I'd stopped to check she got home okay. I haven't seen her since that day - but this one goes out to her, anybody who is going through a difficult time and also to all the people out there who have helped me in a crisis. Someone always cares and you can get through it." The band played a London headline show at House Of Vans, have been handpicked by Garbage to support on their September tour and also announce headlining dates of their own for November.